Congratulations on winning March 2013 COTM Adam! 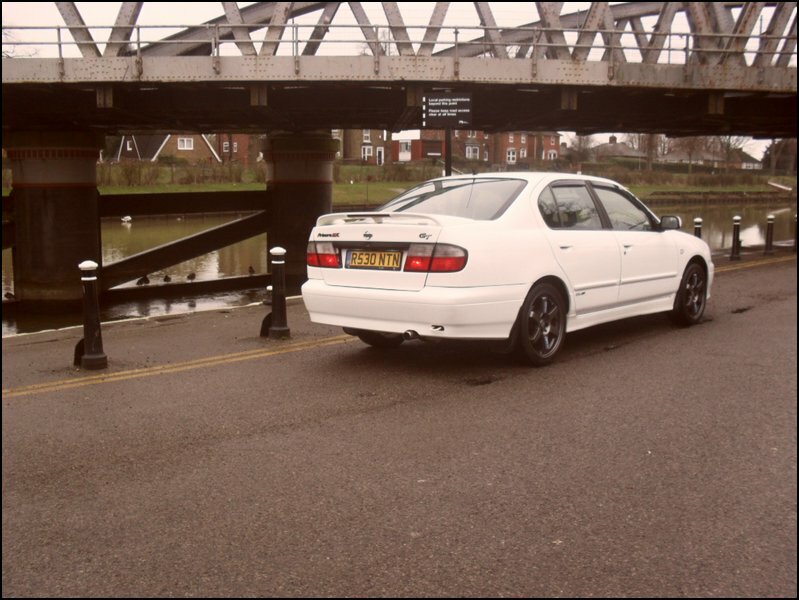 Your Nissan Primera P11 GT Saloon, in minty mint white is probably one of NPOC’s best kept secrets.. But not anymore!! How does it feel bagging this exclusive award and the awesome COTM trophy as well? I am very surprised to be honest with you. There are many great Primera's in this club and I never thought I would be worthy of the award. 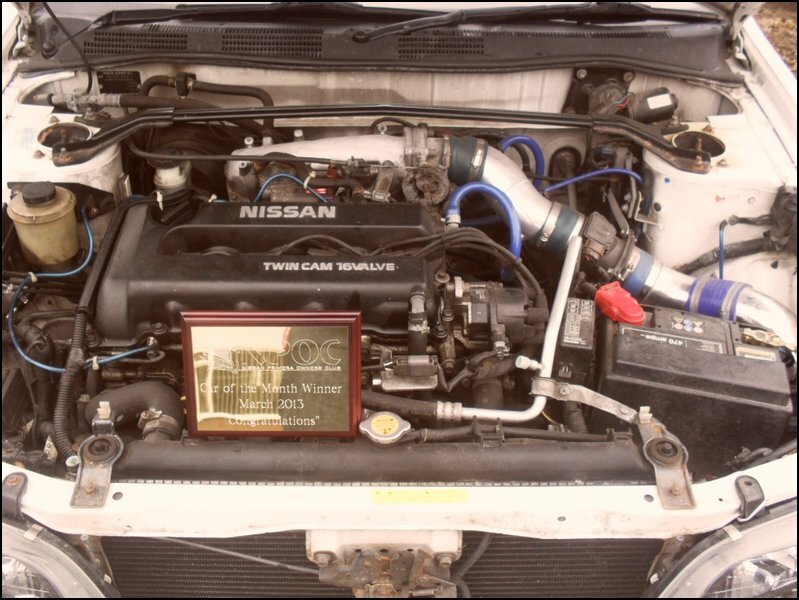 It is great to see that people like my car enough to give me this award. Thanks very much. My name is Adam Powell, I am 26 years old and I have lived in Lincolnshire most of my life but most of my teenage years were spent in Norfolk going to school. I am currently working for Bakkavor Spalding and have been for the past 5 years, with 3 of those years on nights. My current job roll is machine operator, I was a supervisor but gave it up to spend more time with my family (11 hours shifts were not good even though the money was) and the stress was doing my head in! My main interests outside of cars are computer games and football. I also spend a lot of time on our house which we bought in 2010 with my girlfriend, who I have been with for 5 years and our 5 year old daughter Sofia. When I first started looking for my first car actually. No matter what I am buying I will always do my background investigations so I know what I am letting myself in for. I think this was when the website was under a different address though. I really wanted a P11 GT though but obviously this was a no go with insurance at the time. 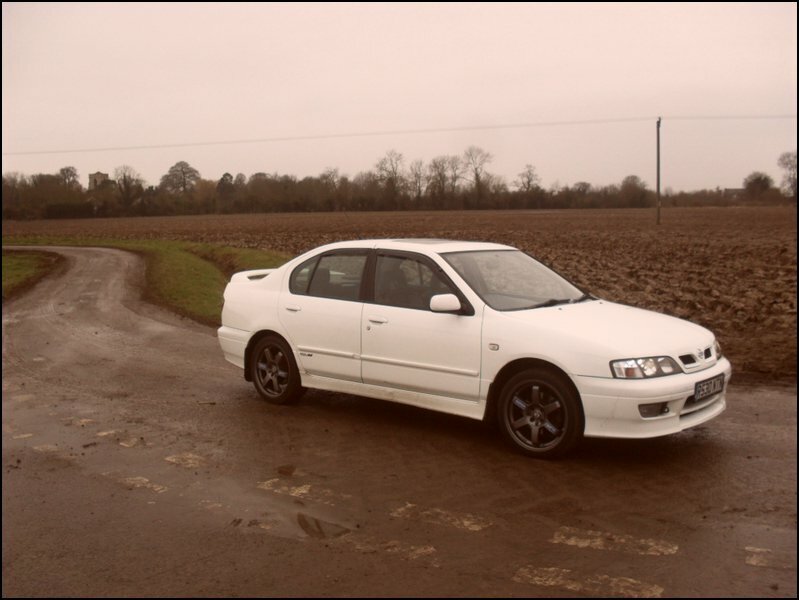 I ended up buying a pug 306 though as French was pretty much the scene with the group of friends I had at the time. The forums on this site are fantastic. A lot of car forums I have been a member of, have very little knowledge base included in them, meaning I am always having to ask questions. Here there are loads to help out the enthusiast. Many a time I have been doing work on my car, with the laptop in tow. 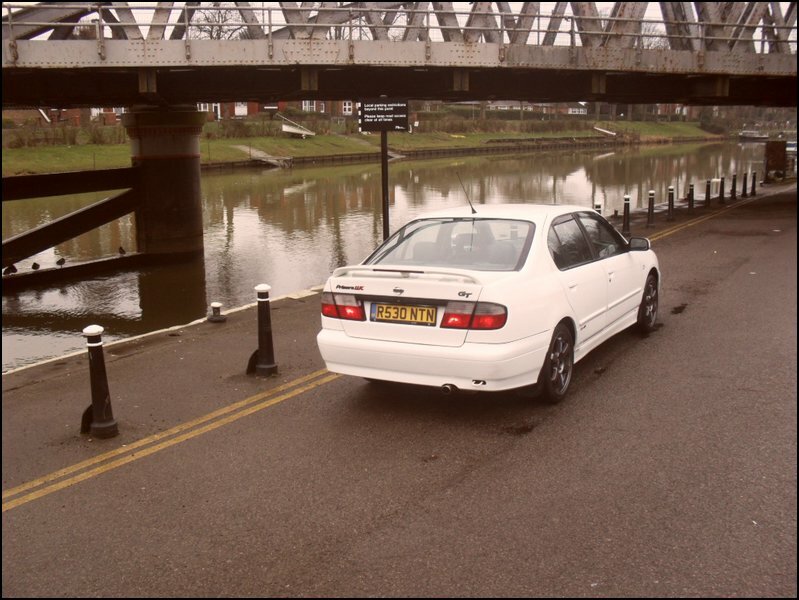 What cars floated your boat (car history) prior to picking this lovely saloon up? I am not much of a jumper between cars, so have not had that many. My first car was a Mk3 Ford Fiesta 1.6si which was good for a first car but felt numb. 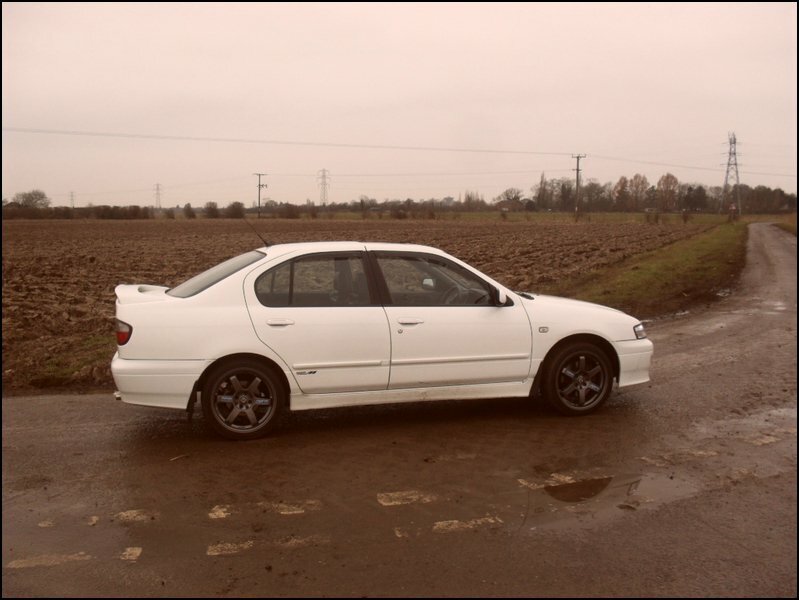 Then I got a Peugeot 306 XSI which had a lot more poke and was fun to drive while looking good, until someone reversed into it in a Sainsburys car park in King's Lynn! After that I just ran it into the ground and scrapped it. 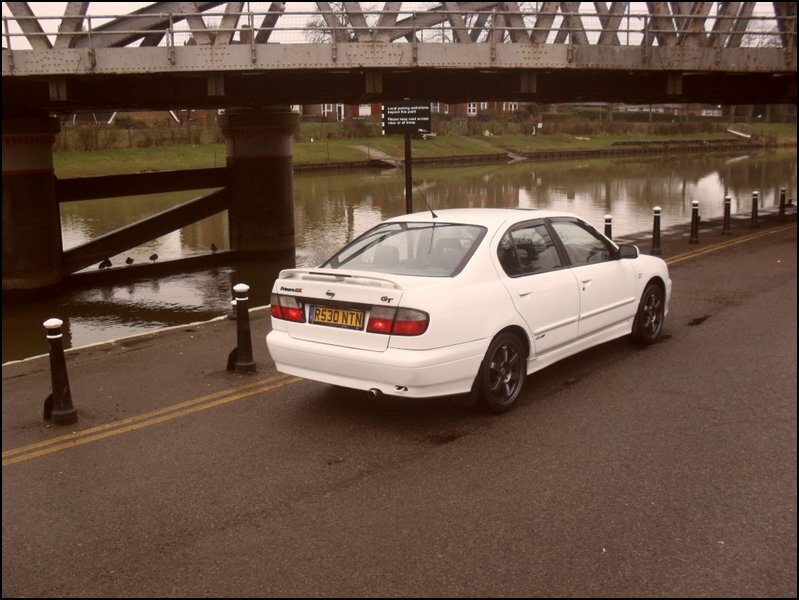 This is when the Nissan Primera came in. So 5 years ownership with this GT now… Still feeling the love and why? Owning an old car is a love hate relationship. One minute you are replacing a worn wheel bearing and you have the feeling like selling up. Then you are walking out of shop and someone has left a note on your windscreen, saying how great your car is and if they could buy it. I also love the fact that the GT is rare as hens teeth now. I am lucky to see a couple during a year. I love the shape, it’s comfortable, has great steering feedback and a great engine which has enough power for our roads, while still being quite economical. 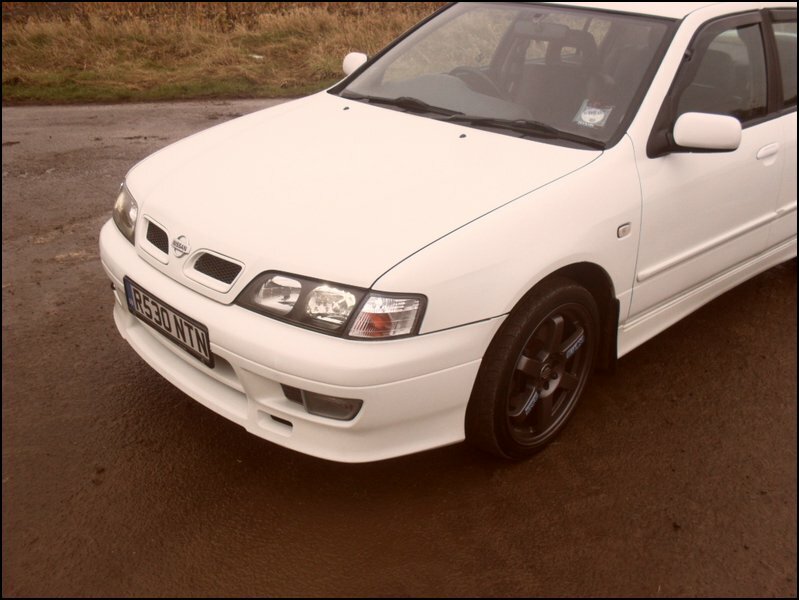 I believe at some stage, your other half also owned a Nissan Primera P12 as well as you owning the Nissan Primera P11 GT? Is she still rocking the 12 too? Yes she has and still has it although we are selling it to get her something small and economical. She has had it for nearly 4 years now. It has been abused, long services etc but has been reliable until I had to replace the chain last year, which I suspect was down to me not servicing it enough. The car feels like a boat but has plenty of room and is comfortable. It was also a big learning curve for my other half, as it is her first car and very big one for a woman to learn in! When you were looking to own a P11 GT, was white the colour you “had” to have, or was it by chance and did you know how rare white was at the time? Colour was not an important factor to me initially. 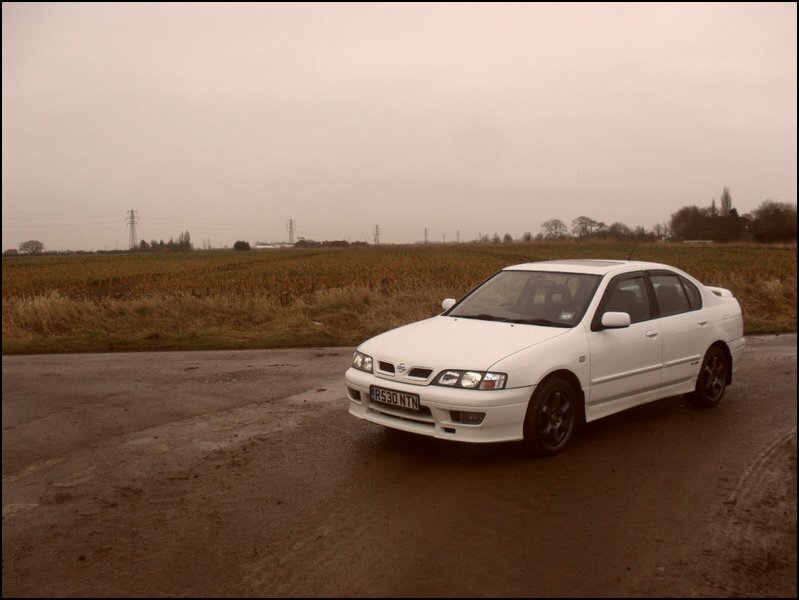 My main criteria was to find a car that was a saloon, was low mileage and was not silver. 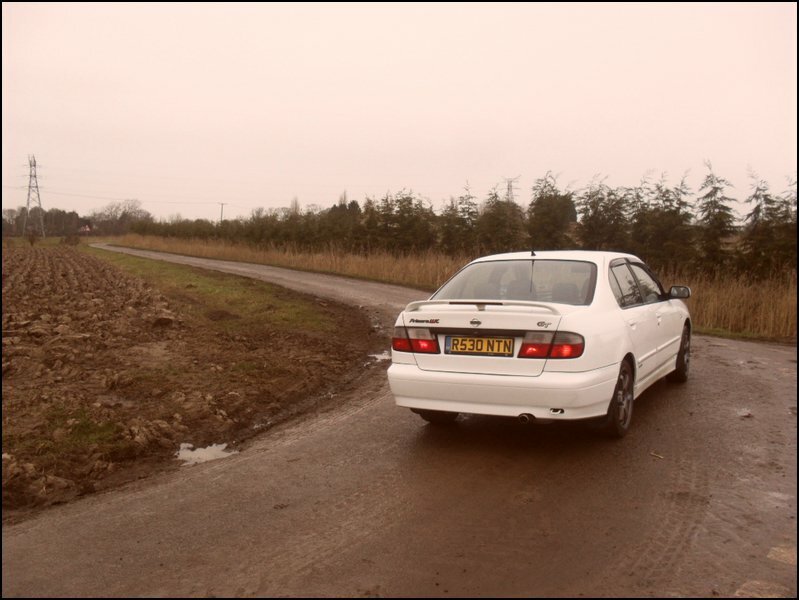 I ended up going all the way from Spalding to the New Forest (Hampshire) to pick up the car which was 4 hours each way. The fact that the car was white was a huge bonus and only had 76,000 miles on the clock. And was it specifically a saloon you wanted? Yes, a hatchback was not on the cards and never will be. Watching the BTCC as a kid meant a saloon was the only option for me. The saloon looks fantastic from all angles whereas hatchbacks look a bit squished at certain angles. This is just my opinion and I am sure hatch owners would disagree. A lot of the modifications have been OEM improvements with a few breather mods for the engine and a few mods to the suspension. 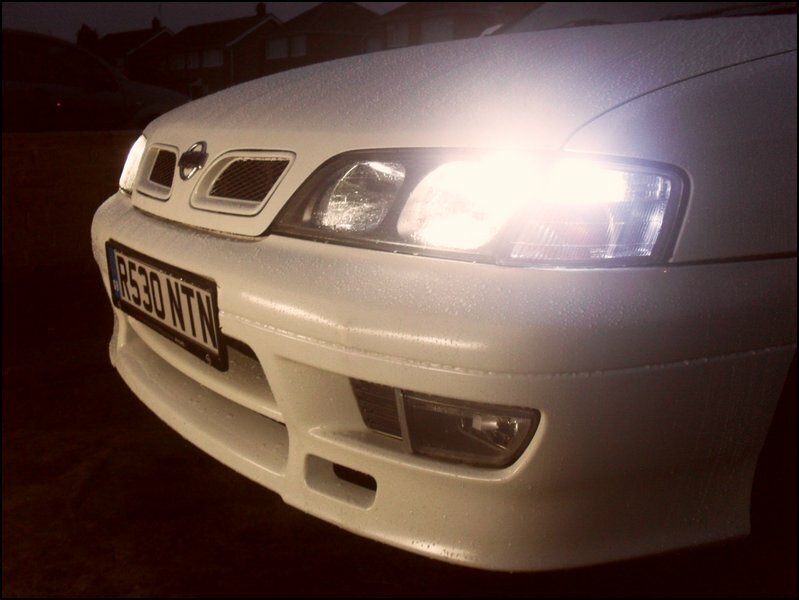 JDM Xenon Quad headlights with LED sidelights and RING 120+ High beam bulbs. 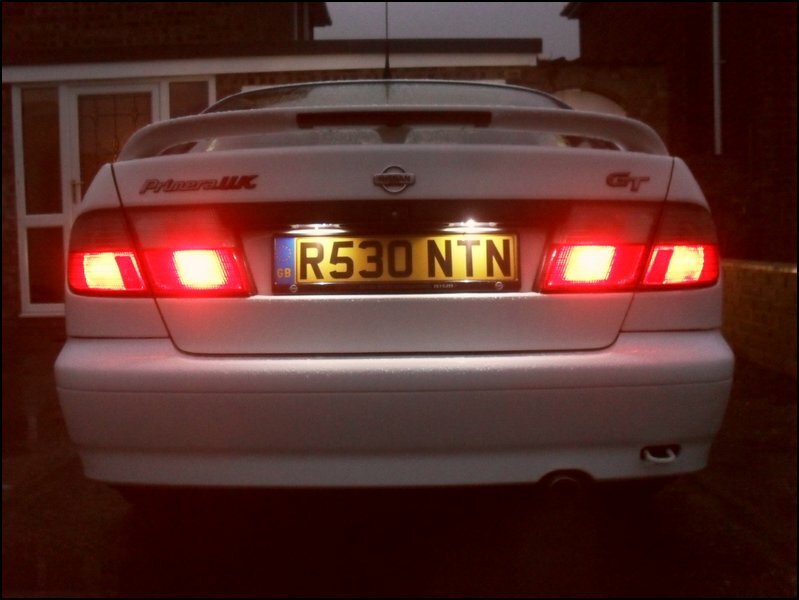 Clear rear tail lights with fog lights modified into working night and brake lights. Inovit ST6 17” alloy wheels with 215 40 Falken FK452 tyres and Nissan center caps. Brand new “Primera UK” and “GT” badges for the boot and a new larger Nissan hamburger for the bonnet. B pillar door strips have been removed and replaced with a carbon fibre vinyl. 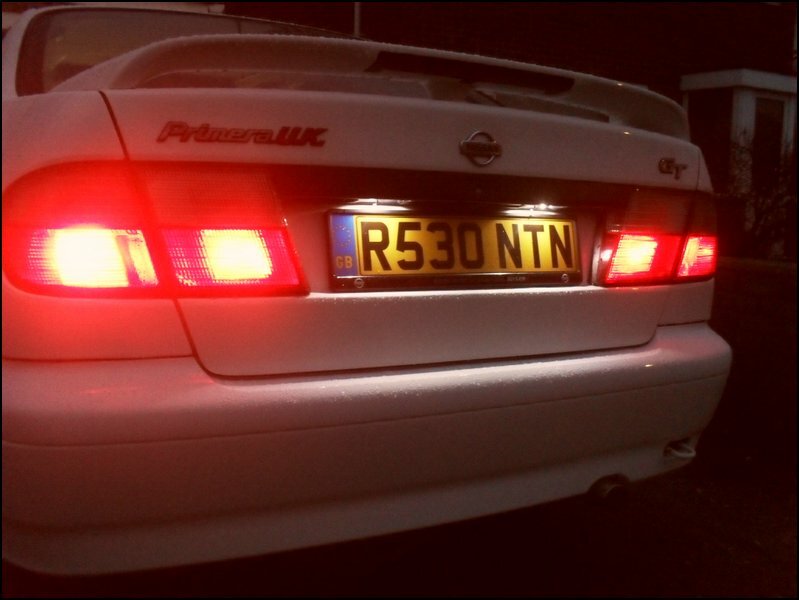 Nissan branded euro style number plate holders front and back with LED numberplate bulbs. 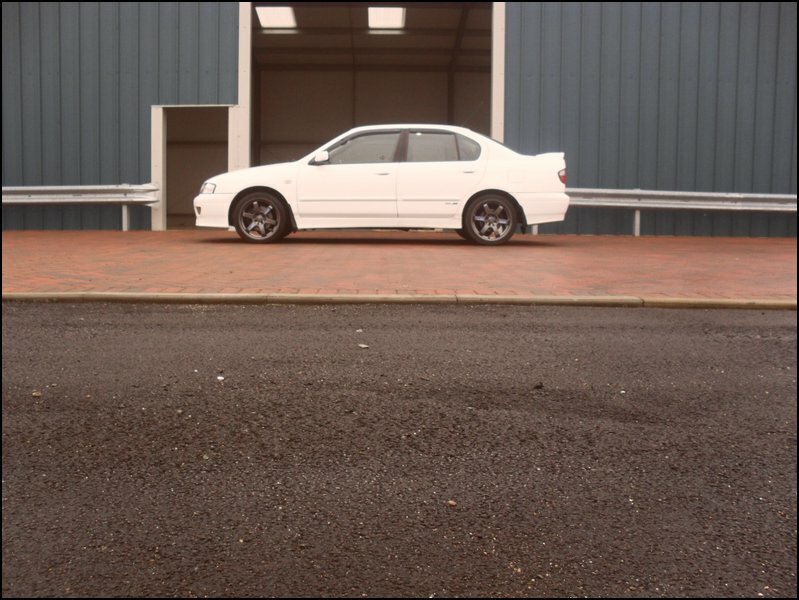 Many parts have been resprayed, like door handles, grills and mirror covers to keep the car looking good. (I am also in the process of respraying a front bumper but couldn't quite make it into this feature). 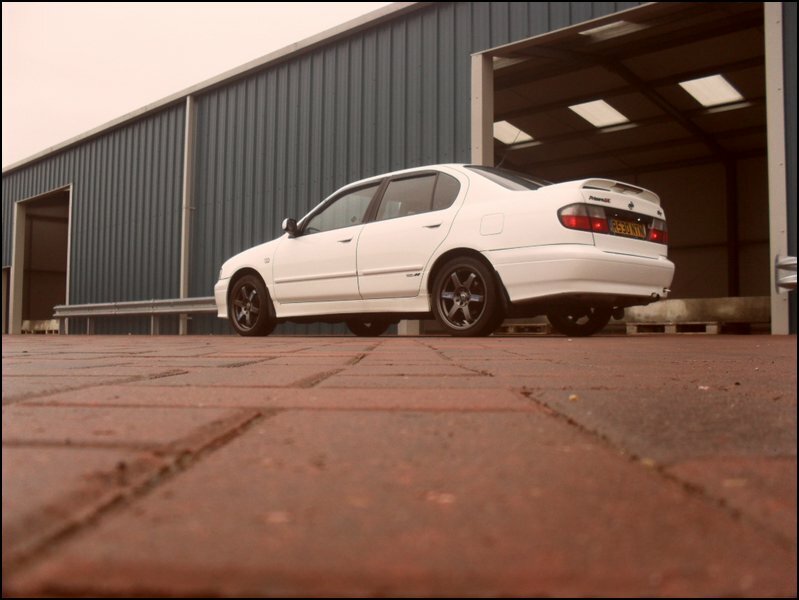 Genuine Nissan Primera GT mudflaps front and rear. All lighting changed to bright LED bulbs. Blue SMD LED's in the center console heater controls. MGTF Momo 5 Speed gear knob (very similar to the GTLE knobs just brand new) with a brand new Momo gear gaiter. Genuine Nissan mats front and rear. Seats treated and dyed with colour matched dye. They look fantastic for 120,000 miles. NGK iridium spark plugs with new Bosch leads. Hotshot Header with 2.5” down pipe. Copper gaskets as well. Custom made 3 inch cold air feed with genuine Apexi air filter relocated into wing. 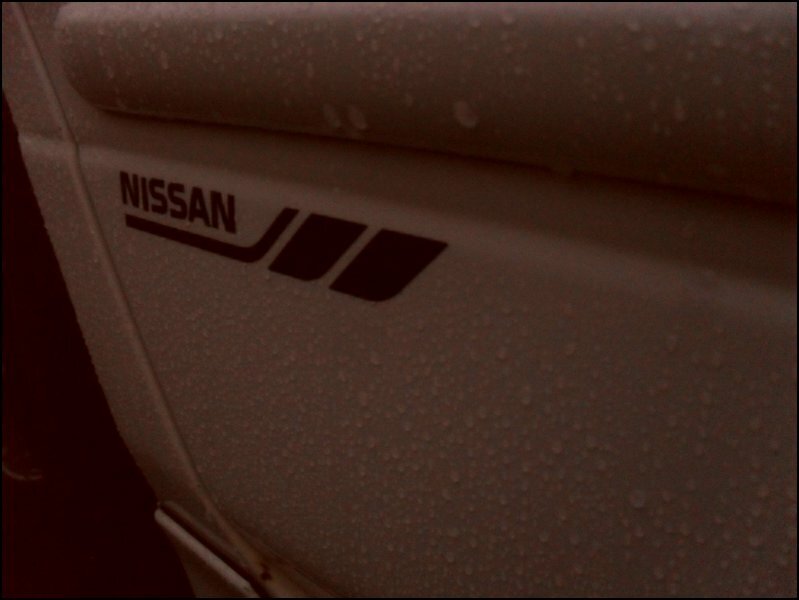 Genuine Nissan fluids always used. 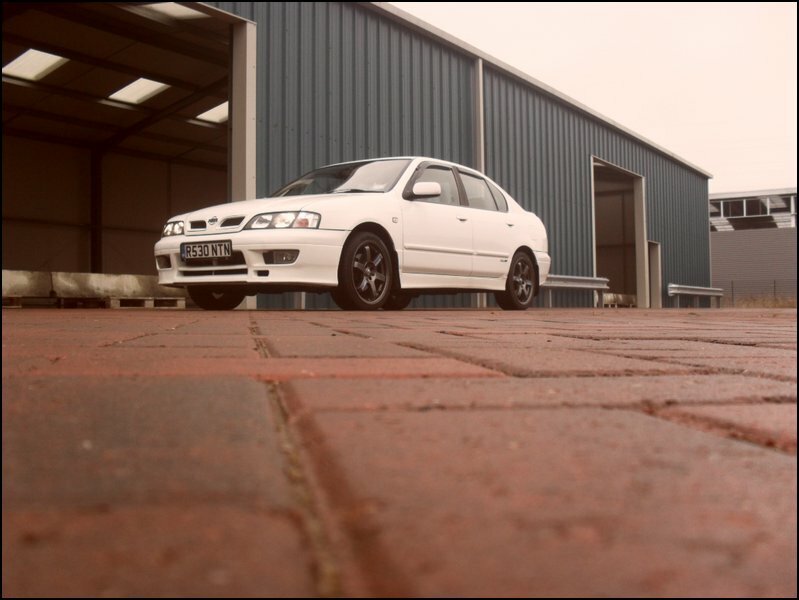 Rolling Road Dyno tested locally and made 158 BHP. EBC green stuff pads front and EBC ultimax rear. Polybushed front drop links and anti roll bar. 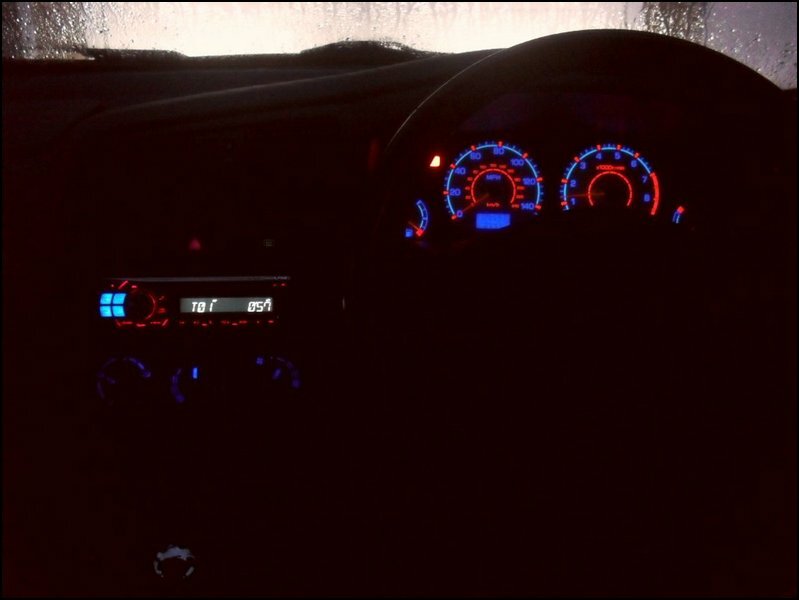 The JDM xenon headlights. As mentioned I work nights so being able to see where you are going is a big issue. These lights are exceptional compared to the standard units with their light output. They also facelift the front end fantastically making the GT look a lot meaner and sportier. 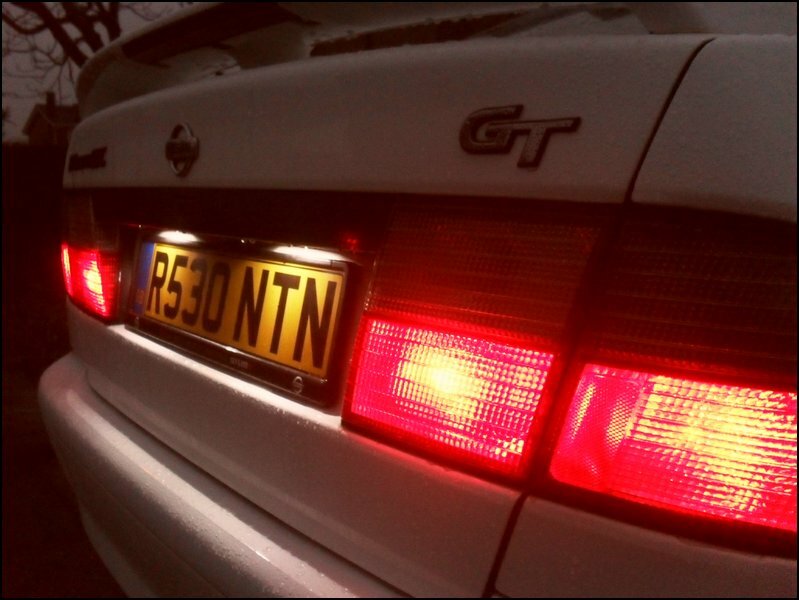 I must also give a mention to the 4 tail lamp mod on the rear of the car, which for a couple of quid on parts has totally transformed the rear end look at night. Coilovers. It's the only thing my car really needs at the moment. Not for the stance as that doesn't interest me in the slightest but for the grip and cornering ability they can give. 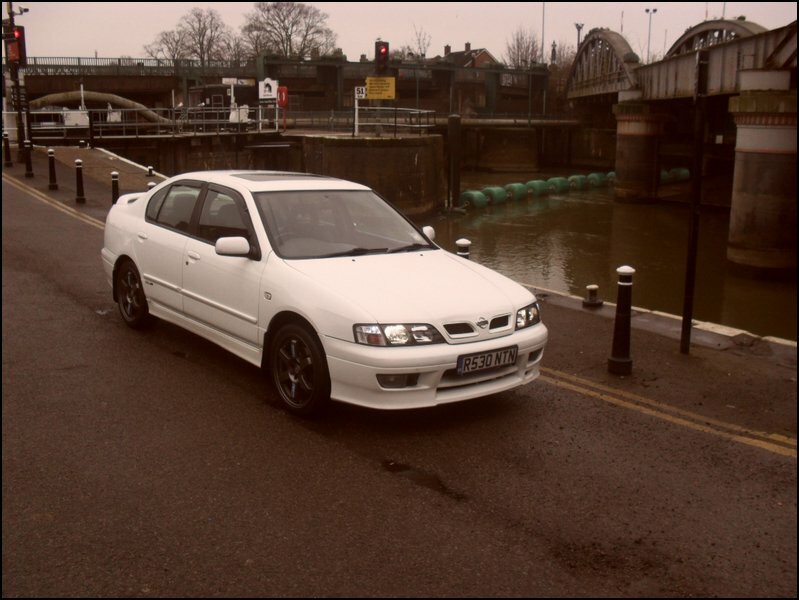 If money was no object and you could do anything you wanted to your Nissan Primera GT, what would you do? 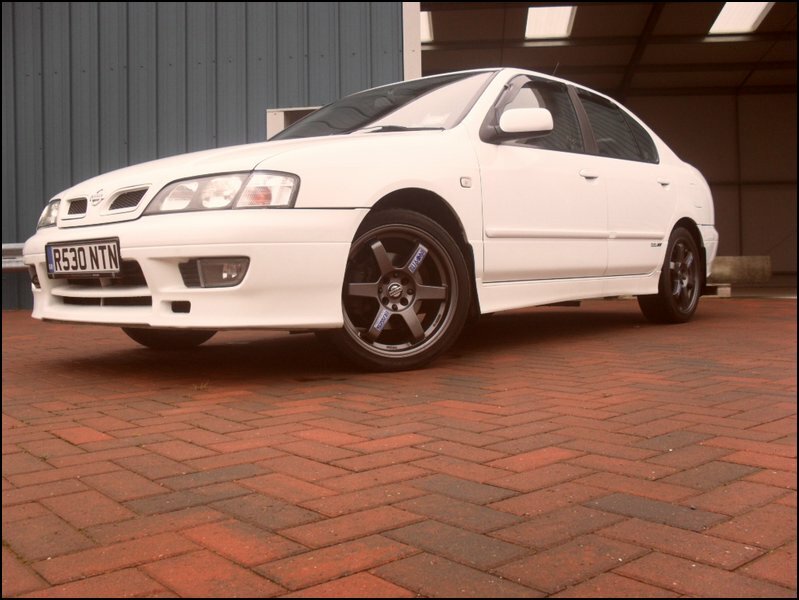 SR20VE ~300bhp, Sequential gearbox with LSD, big brake upgrade, BTCC aero parts and a load of chassis stiffening. Not to forget a ground up rebuild of the actual car itself. Basically a road going version of a BTCC car with interior. Cosmetically this P11 GT is standard looking to most.. 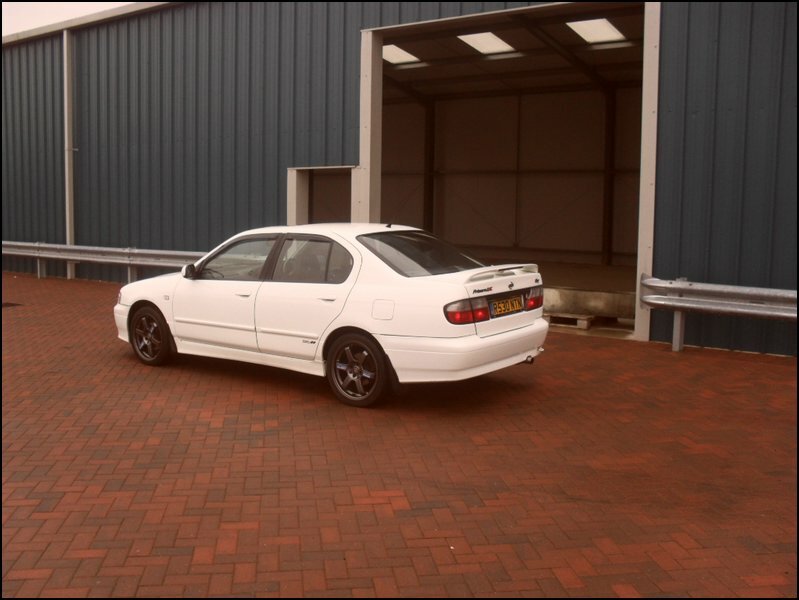 But being a white saloon, it is ripe to become a full on BTCC replica!! Would you?? Only if I ever turned it into a track car, or if I had the power to back up the “in your face” looks of a full BTCC livery. I believe you’ve done a lot of the work on this car, on your driveway and by yourself and out of 1 – 5, what rated spanner monkey do you consider yourself to be? I would say 4 out of 5. I will take on pretty much everything from engines to electronics as long as I have the tools and understanding to do it. Welding is my weak point as I haven't learned but will do at some point in the future. Is there anything you wouldn’t take on yourself? Anything which involves gas as I don't want to blow myself up! I will not touch air con systems and will leave that to the professionals. I cleaned out our boilers heat exchanger last summer and almost soiled myself when I turned the thing back on! 5 years as a full paying member. 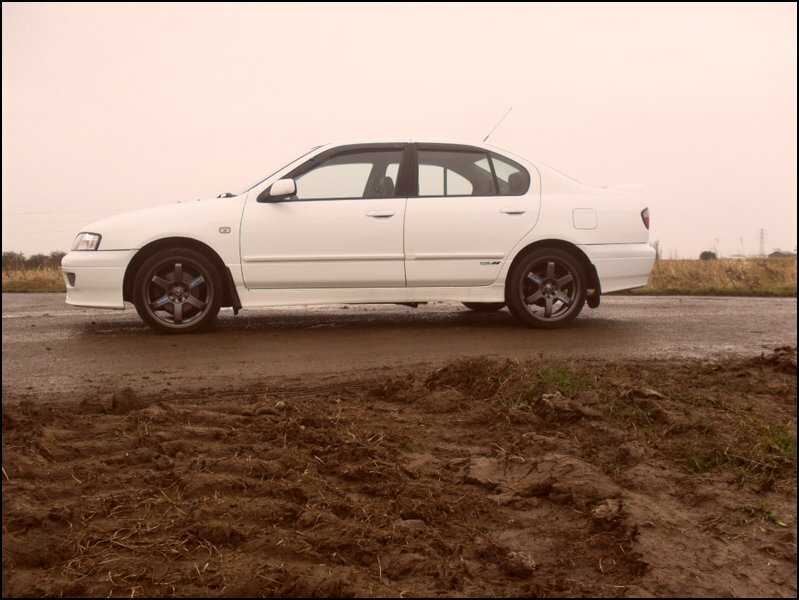 I have been browsing the forums from the early 00's though when I was looking at first cars. An early finish at work which rarely happens LOL. When there is no Robinsons fruit and barley peach in the house. I wear glasses when I drive and I fixed them with a soldering iron because I am tight. Don't know, haven't really thought about it. Whatever my other half chooses. Alcohol is Fosters Gold and Robinsons fruit and barley peach for a non alcoholic beverage. Torby's P11 to see what an SR20VE would feel like in a great condition P11. So you’ve been an NPOC member for 5 years now and to date, we’ve never met you, or seen you at any of our Club Meets – I’m genuinely interested as to why? Time has been a huge issue for me over the past few years. Working nights has meant I haven't really had much time for anything. The new house has been taking up all the spare time I have had. We also had massive problems over the past two years trying to get my other half transferred to day shift, (useless HR department which nearly ended up going to court), which meant my days off have usually involved sleeping. Now that my other half is eventually on day shift means I can look at job prospects in the day time, (trying to juggle jobs between our daughter so she spends as little time as possible with baby sitters, is what we are trying to achieve). Especially now I have been given a COTM award, I owe it to the club to turn up to some of the big meets in the summer, which should be possible now. Can you see yourself owning the car for a long time, it recently got a fresh MOT but I know you have another 4 wheeled love interest at the moment? Yes I bought a Celica GT-Four at the end of last year. I have always had a hankering for big power but was put off doing an engine swap on the GT, as I need a car daily that is reliable and financially it was better for me to find something with an easier base for tuning. I bought the GT-Four in the same vein as the GT. Exclusivity is always something I have wanted in a car, which is why you will never see me in a Ford Focus ST of BMW M3. 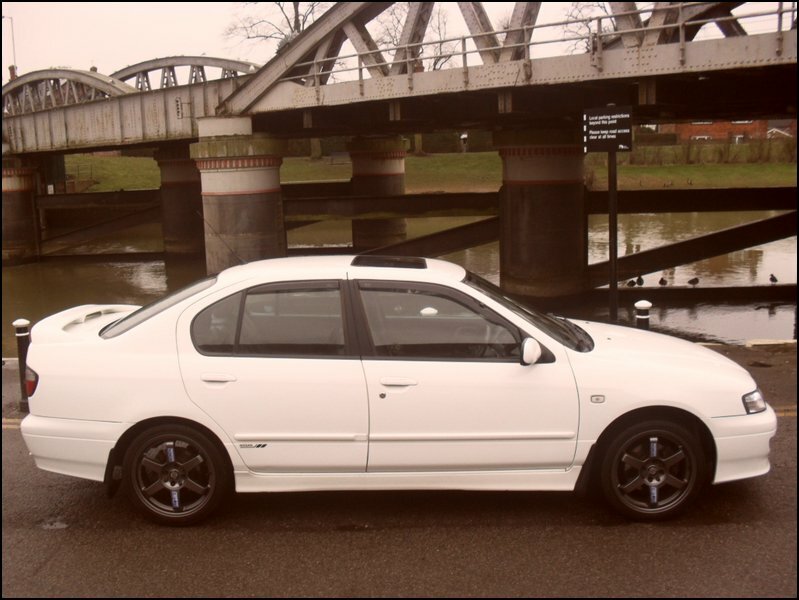 Like the Primera GT, many people underestimate the great things the GT-Four has going for it. The Celica GT-Four is an epic car and I know most of us in the Club are massively jealous (git!).. Can both cars really exist in your life? Yes they can. My insurance for both cars is £900 for the year. The amount I save on petrol with the P11 GT over the year pays for the insurance itself. Having 4 doors makes the school run a lot less of a pain. The plan now is to sell the missus P12 and get her something small and economical for her run to work. 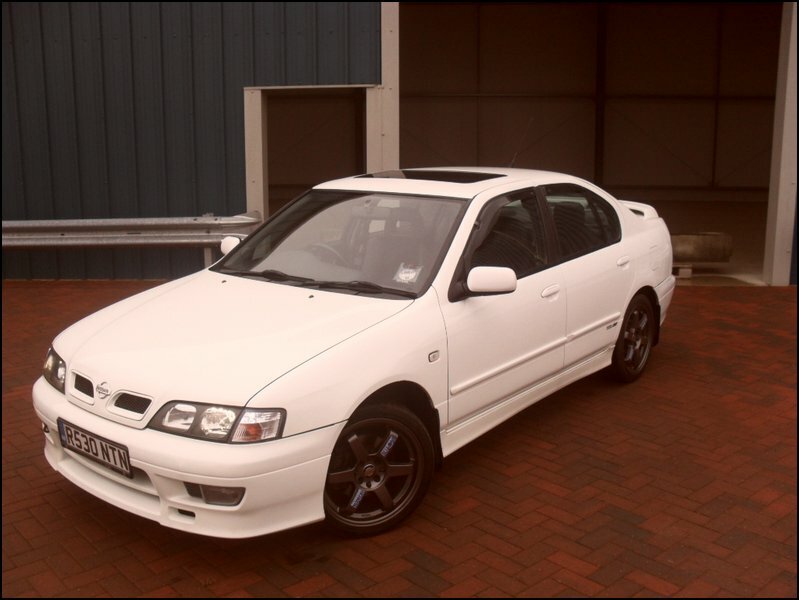 Then in essence the Primera becomes the family car that can be used for trips etc as it makes a great GT car. Excuse the pun. 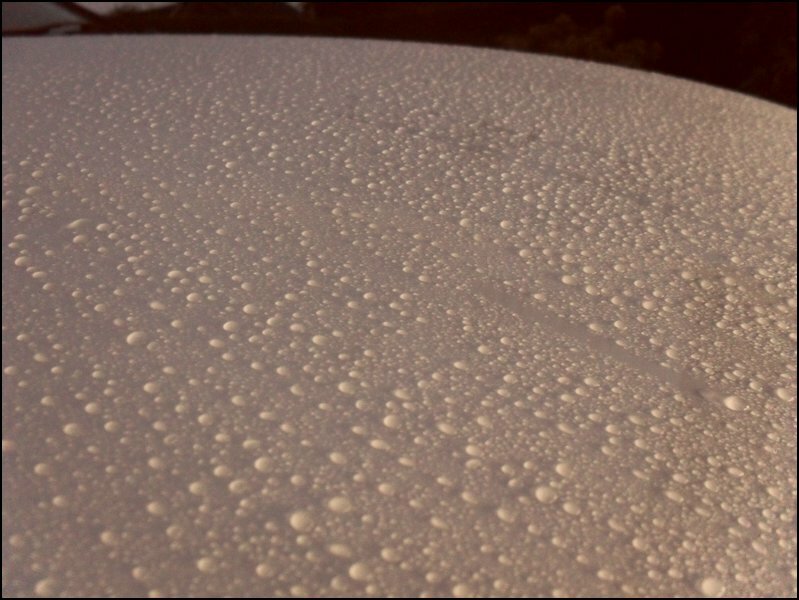 Are you a serial modder, who has always tinkered with your cars? 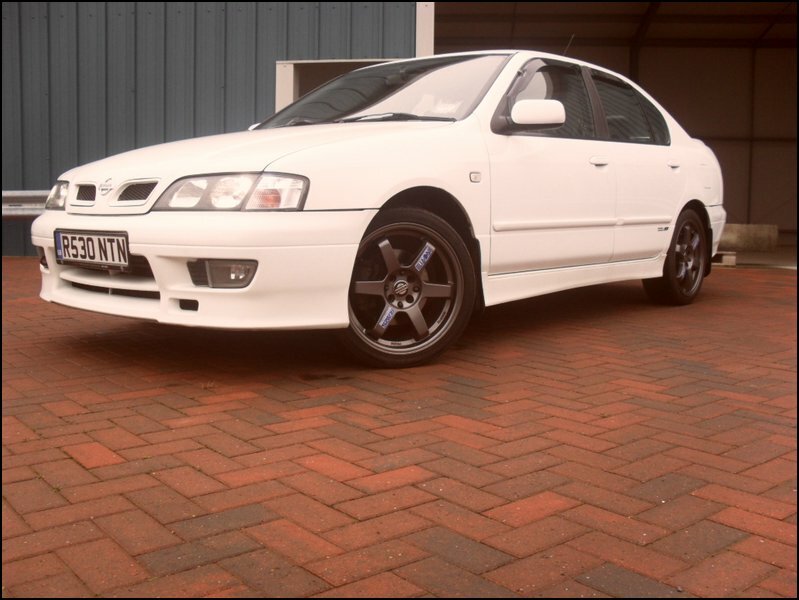 Not until I got the Nissan Primera. I never had any money to spend until then. Yes for £15 a year it is pocket change. I think of it more as a magazine subscription. 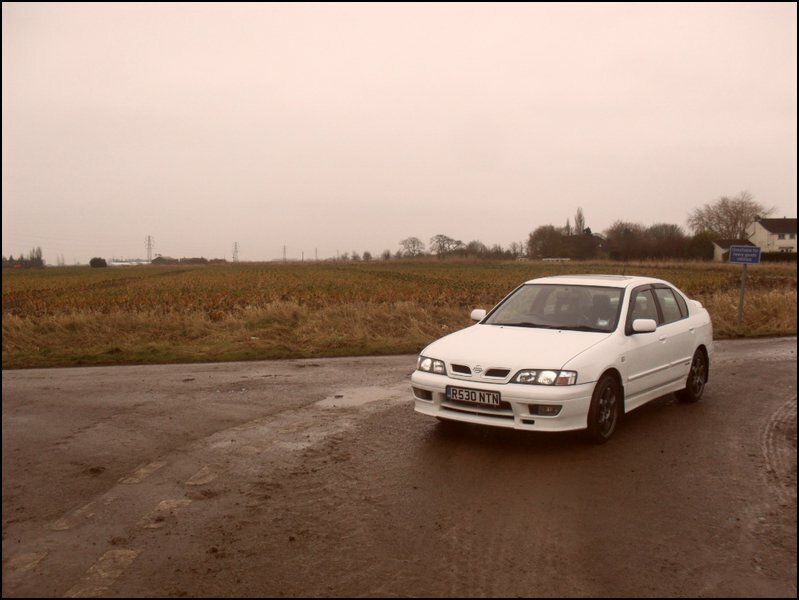 It's great to read the updates of what everyone is doing with cars, whether it is a Nissan Primera or something else. 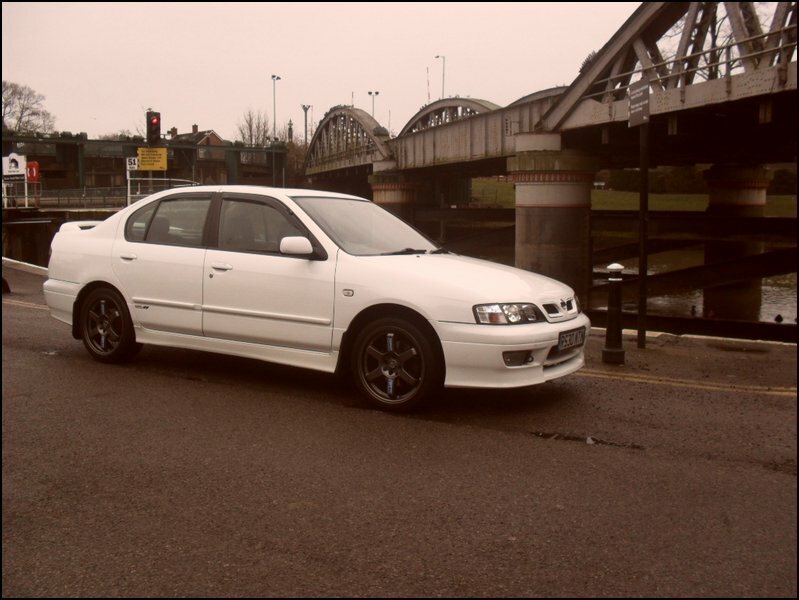 He needs to bring back the Primera as a performance saloon for the family. In the same essence as the GT86 but for the family. I am sure there is a market to bring back the fun into driving, for a family car. From 2013 onwards in every COTM feature, my final question to all winners is going to be this one... If you could change 1 thing about the NPOC Forums, what would it be and why (and don’t be shy)? The search function can be a little vague when searching for help. Maybe a How To section detailing search tips etc, to help you find what you are looking for. 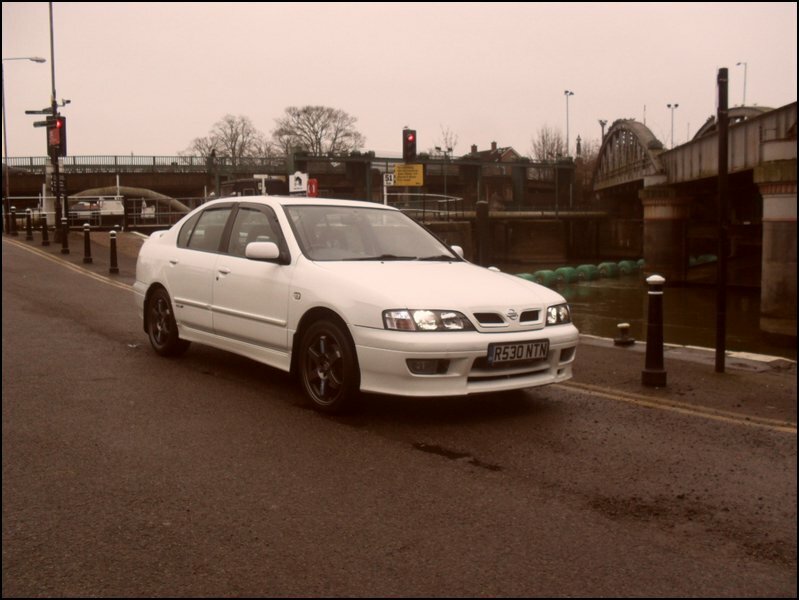 Many thanks for telling us all about yourself and your Nissan Primera P11 GT Loon Adam, you have a cracking car! 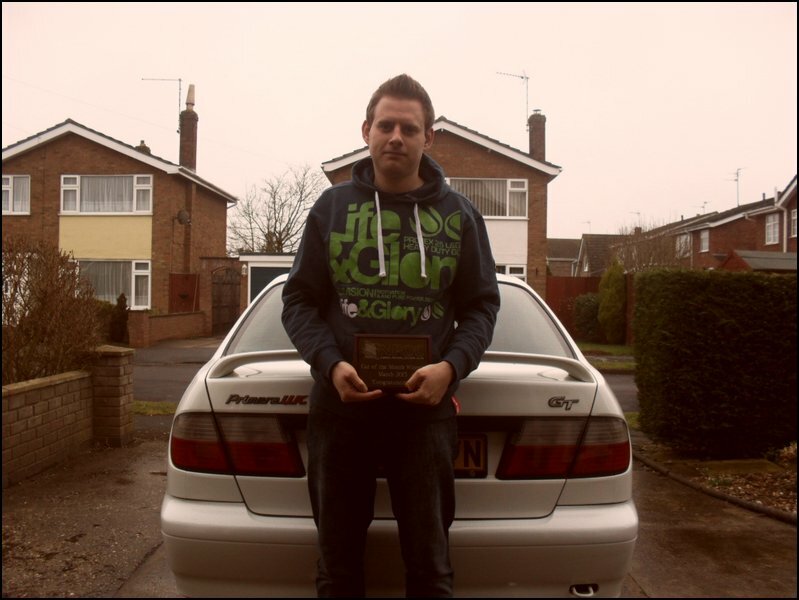 Congratulations once again for winning Car Of The Month for March 2013! Please end this feature, in your own words and feel free to thank anyone who’s made this one possible. Thanks go to the people with the knowledge and sharing it and not keeping it to yourself. Thanks also to the people organising the groups buys, so lazy people like me can just pay and wait for it to arrive. Also for the many people who have sold me Primera parts to get it how it is. Congratulations once again to Adam!